Sydney Film Festival (June 5 – 16) has just released a sneak peak of 25 TEASER FILMS playing at this year’s Festival. Flexipasses are now on sale, save and share them with your friends or family – they’re that flexi-ble! Following on from the success of the game Buff Enough, Screen Australia have expanded the project to include the Top 100 Australian Films and Documentaries. Take the challenge, Are you buff enough? A program of intensive one-day script workshops, five writers will be chosen for each workshop to present their scripts for analysis, with 10 spots reserved for participants who want to learn from this process by observing the transformation. Take this accredited part-time short course to learn the basics of developing your content, pitching your project, business model options, how to find an audience through marketing for your project and possible funding opportunities. Being a runner is a great way to get yourself on-set or in the production office. Many people start their careers as runners, it’s not glamorous and it’s hard work but it can lead to a full time career in film and TV production. Runners often gain promotions to the roles of Production Secretary, Coordinator and Third AD. Learn how to put your best foot forward with this practical one-day course. In an industry where everyone is trying to break in, entry-level roles give you the opportunity to set yourself apart. This part time accredited course runs for four days from 13 April to 4 May. 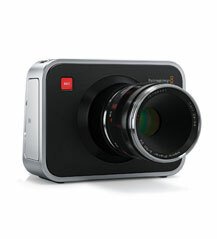 For continuous recording on location or in the studio and the ability to capture directly through to Thunberbolt. HyperDeck Studio Pro features 4 channels of 3 Gb/s SDI, HDMI and analog connections with standard XLR connectors for audio and timecode, and a built-in Thunderbolt port. Supports SD/HD and 2K, plus full 4K playback from a single SSD using Apple ProRes. You can mount an SSD recorder using HyperDeck Studio on to any computer to access your files, so you don't need multiple decks or ingesting to work with your media. Submit your job, event, film festival entry opportunity, Give Away or News Item to the Forums anytime. Internship/Work Experience based in Sydney. Phoenix3 is an innovative company. This exciting role is responsible for filming and editing online material. The Role involves different aspects of film and digital media depending on the experience and access to equipment. This Internship gives access to student or a person just out of university looking for hands on experience in film and digital media. The Revelation Perth International Film Festival launches Revel-8 2013, inviting submissions from filmmakers from across the country. Theme: Phobia! Calling all Super-8 filmmakers - whether you’re a seasoned campaigner or a Super-8 newbie, Revel-8 Film Fest is throwing out the challenge far and wide to take part in a celebration of image meets music. The FilmLife Screening night celebrates the work of young filmmakers and their creativity. Please join your host The GroundSwell Project and our project partners at Information and Cultural Exchange in Parramatta. Join us as we award prizes for Best Film, Best use of theme and open voting on the People’s Choice awards. ‘Destiny In The Dirt’ was produced through Metro Screen’s First Break funding program. Writer/Director: Ella Bancroft. Synopsis: Dylan who must decide the path and direction he wants his life to take. What you see is not always what you get. One decision will led to his destiny. The final film from renowned French director Claude Miller (Un Secret), THÈRÉSE DESQUEYROUX was chosen as the Closing Night Film of the 2012 Cannes Film Festival. Starring the engrossing Audrey Tautou (Amelie), and based on François Mauriac’s famous novel, it tells the story of a free-spirited woman named Thérèse Desqueyroux, living in the picturesque Landes region of France. A funny and touching coming-of-age story based on the beloved best-selling novel by Stephen Chbosky, The Perks of Being a Wallflower is a modern classic that captures the dizzying highs and crushing lows of growing up. Starring Logan Lerman (The Three Musketeers), Emma Watson (Harry Potter), Ezra Miller (We Need to Talk About Kevin) and Paul Rudd, The Perks of Being a Wallflower is a moving tale of love, loss, fear and hope-and the unforgettable friends that help us through life.